This is an out and out local city usage. You can avail this service whenever you like online on our official website. The Local Full Day service will be available for a variety of local trips including sightseeing, shopping, attending meetings, seminars, visiting hospitals, and a lot more. This is a special package service for local city tour usages offered for half day Haridwar visitor routine including Car rental service for Marriage, Airport Transfer in Haridwar, party and event, Corporate Cab Rental in Haridwar, Railway Transfer, visiting hospitals and a lot more. The service is extremely helpful for voyagers who wish to avail pickups and drops facility from one destination to the other. 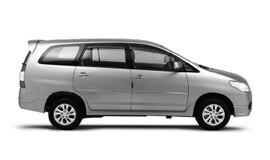 You can expect these services for airport pickups and drops, hotels pickups and drops, railway station pickups and drops, and bus stand pickups and drops. At My Taxi India, we offer exclusive packages for outstation tour. These are a wonderful choice for weekend escapades, trip with friends, pleasure trips, and family holidays outside the city limits. We also arrange for group packages from Haridwar to places nearby. You can choose cars that accommodate a specific group size. This is highly useful to and fro service in Haridwar for those looking for to and fro trip to Haridwar. The service is available for multiple destinations with starting point as Haridwar. The package has been devised providing one way drop to their preferred destinations from Haridwar. The package is designed for tourists moving around more than one city within a fixed period of time. This is a special package designed according to the requirements of our patrons. You can include or exclude services and facilities as desired. The budget is also kept in mind. We also offer special Haridwar city sightseeing tours and any other customized cab rental packages. At My Taxi India, you can expect the best car rental services in Haridwar at highly affordable prices. The climate of this holy site is temperate all year round. Winter (October-February) is chilly with. The day temperature in winter is pleasant and sunny. Summer (March-May) is hot and ranges 18°C and 40°C. Monsoon (June-September) receives moderate rainfall. This is also the time when humidity increases all through the city. Presently, according to census 2011 the total population of Haridwar is 1890422. The major revenue in Haridwar district is generated from tourism, education, and technology. It is also widely revered for pilgrimage and a doorway of Chardham. The Bharat Heavy Electricals Limited (BHEL) and Industrial estate State Industrial Development Corporation of Uttarakhand (SIDCUL) has also turned the city into industrial district which contributes greatly to its economy. Haridwar is also widely celebrated for cultural education. Haridwar is a beautiful city and municipality in the Haridwar district, Uttarakhand station, India. The place is widely known for some of the picturesque tourist spots in the state. Har ki Pauri or Brahmakund is a major attraction here. This is where the world famous Kumbh Mela celebrated once in 12 years is held at this place. Other significant tourist places worth visiting in Haridwar include Chandi Devi temple, Maya Devi Temple, Mansa Devi Temple, Sapt Sarovar, Sapta Rishi Ashram, Bharat Mata Mandir, Daksha Mahadeva Temple, Bhimgoda Tank, Doodhadhari Barfani Temple, Ma Anandamayee Ashram, Neel Dhara Pakshi Vihar, Sureshvari Devi Temple, Pawan Dham, Parad Shivling, Sati Kund, Ramanand Ashram, and many more.